Discover the numerous lookouts and trails to immerse yourself in the past, the present and the scenic panoramas of Whyalla. Hike in nearby National Parks or take a leisurely walk up Hummock Hill from the City Plaza to see the extensive views of Whyalla, the steelworks and the coast. Eat local, at a local. Discover the numerous lookouts and trails to immerse yourself in the past, the present and the scenic panoramas of Whyalla. Museums of Maritime and early history will interest and amuse with stories and displays including model trains. Visit Wild Dog Hill in the Whyalla Conservation Park where kids and adults can play free within nature then on to the Point Lowly Lighthouse. Hit the road or trail to Fitzgerald Bay and see the only shingle ridges in South Australia, back dropped by the magnificent Southern Flinders Ranges across the Spencer Gulf. Fish from the shore, bush camp, listen to the stillness. Capture vistas, sunsets, cityscapes, seascapes and landscapes from numerous vantage points. Unearth unforgettable Whyalla. Beachside dining, picnics, family fun and leisure. Serene, secluded, sand, rocks or pebbles and stunning seascapes. 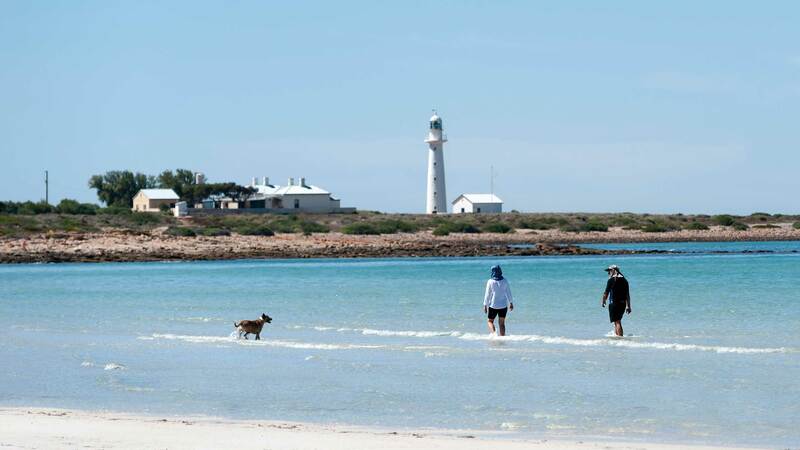 Unearth your seaside and coastal heaven in Whyalla.